Kay Dudek used felting processes, both wet and dry, to make the orange beads in this necklace. She added wood and metal beads for artistic effect. What can you make with wool? If you visit Kay Dudek’s studio in Fort Collins, you might believe the answer is — just about everything. Purses, jewelry, lampshades, hair ornaments, vessels, sculpture, toys, flowers, and art to frame and hang. Kay makes all of these plus shawls, mittens, and fabric without spinning, crocheting, knitting, or weaving. The tiny scales along the surface of wool fibers catch on each other permanently when the fibers are rubbed together mechanically. Add a little soapy water, and the scales join even more strongly. The process is called felting — needle felting if the wool is dry, or wet felting if soap and water are used. 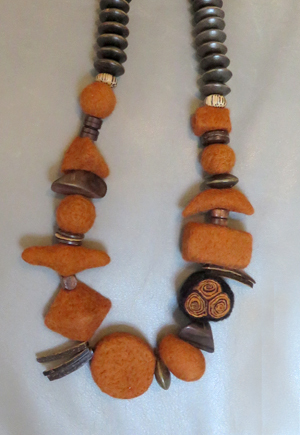 When Kay works at the felting process long enough, she can turn fluffy wool fibers into dense objects that have almost no give to them, like the orange beads in the necklace pictured above. 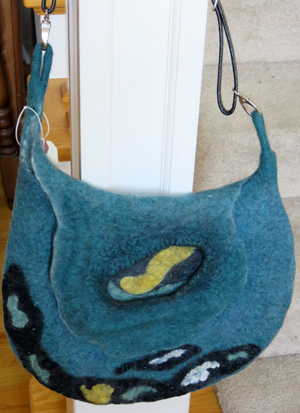 This felted wool purse by Kay Dudek includes an inside pocket but has no seams anywhere. Kay starts with wool that has been dyed and carded into long strands of fibers that hold together lightly and naturally. From those strands she can pull off the amount she needs for a project. Kay uses wet felting techniques for fabric items such as the purse you see here and for the vessels pictured below. She knows that the more fiber she uses and the more she manipulates the fiber, the stronger her creation will become. 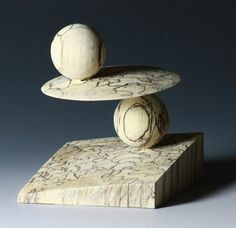 Experience tells her the perfect balance for a particular project. To make a container such as a vessel or a seamless purse, she uses thin plastic foam to separate the layers that will become the top and bottom of the vessel or the front and back of the purse. Fibers on both layers overlap at the edges; as she continues rubbing the wet, soapy wool, the two layers become inseparable where seams would otherwise be needed. Kay adds decorative touches by felting contrasting colors of wool fibers on top of the base layers. She may use her felting needles, usually used to felt dry wool, to sharpen the edges of her designs. Needles push the fibers exactly where she wants them. She may also embed small metal objects into the wet wool. For vessels like those pictured below, Kay cuts a small slit in the middle of the top layer of felted wool. Further cutting isn’t necessary. Her fingers gradually coax the fibers away from the slit until they have shaped a circle. They lightly rub the edges of the circle until it looks smooth and finished. 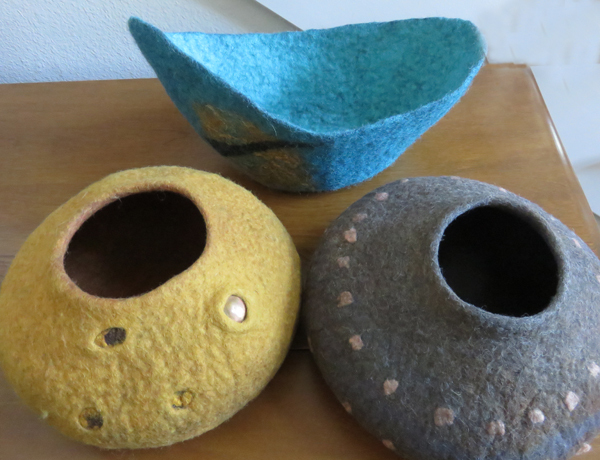 Kay Dudek adorns her vessels of felted wool with small metal beads and contrasting colors of wool felted onto the underlying wool form. 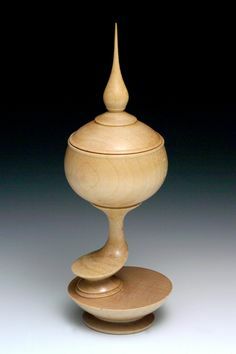 By the time Kay pulls the plastic foam from the vessel, the felted wool has become so strong and stiff, it will maintain the shape that Kay gives it while it is still wet. Wet felting works great for art that has relatively thin, pliable surfaces. 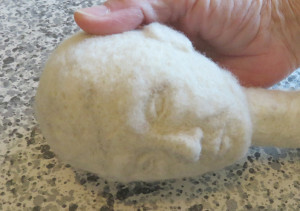 For more solid items, Kay pulls out her felting needles and works with dry fiber. Felting needles aren’t threaded; instead, these needles have small barbs that catch the fibers and push them in a precise direction until they catch on other fibers. As in wet felting, the more she manipulates the fiber, the stronger and firmer it becomes. Kay Dudek holds her sculpture of wool, still a work in progress. Felting needles punch wool fibers into place, creating the finest of detail. I watched Kay take a tuft of wool and roll it between her hands. In seconds it started to become a ball. Then she kept rotating the ball while piercing it repeatedly with her largest felting needle. Soon she had a small, compact sphere like the round beads in her necklaces. She used the same technique to sculpt the head that you see here. After she had a dense, solid form, she took a thinner needle and began sculpting the facial features. In wool this tightly felted, even the shortest pierce with a fine needle creates detail, such as the line along the lower eyelid. Kay sculpted coral, sea anemones, and shells to create a three-dimensional seascape, which she mounted in a shadow box frame. 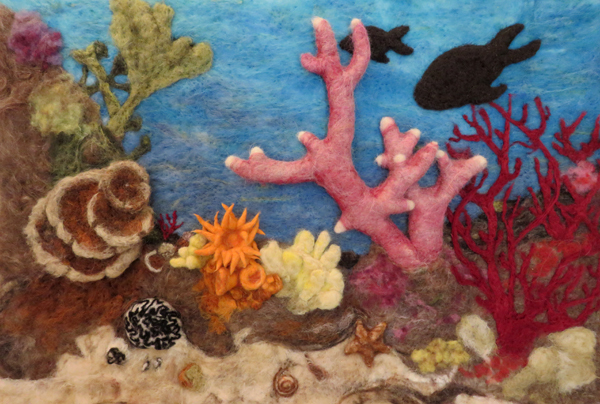 She used her felting needles to attach the underwater objects to the felted background she had prepared. 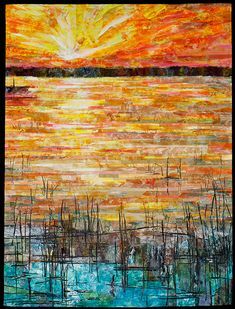 Kay Dudek created this three-dimensional seascape with wool fiber. 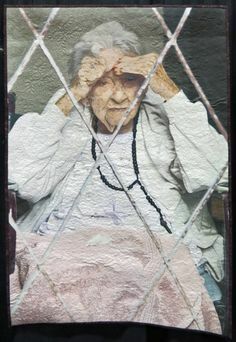 She used both wet felting and needle felting techniques. Not all of Kay’s wall art is three-dimensional. 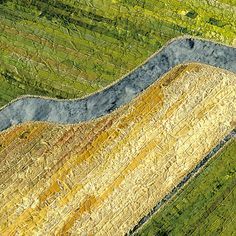 She also creates two-dimensional works in which the delicate joining of colorful fibers gives the impression of a watercolor. Kay enjoys thinking of wool as her choice for paint and clay. 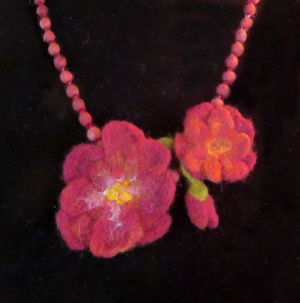 Kay Dudek created the beads and flowers of this necklace by felting wool fiber. The necklace was on display during the Fort Collins Studio Tour. I saw Kay’s work for the first time during the Fort Collins Studio Tour in June. The wide variety of items on display evidenced her passion for experimenting with wool. You can see more of her work in her website’s galleries. For further explanation of wet felting, read November’s post about the wool hats made by Mickey Ramirez. To read more about how needle felting is done, refer to December’s post about the whimsical work of Fran Bowen. 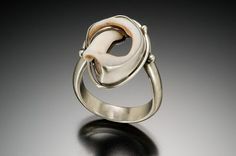 Kay doesn’t hesitate to use both processes in a single work to achieve the effect she wants. My only question now is — What will she try next? 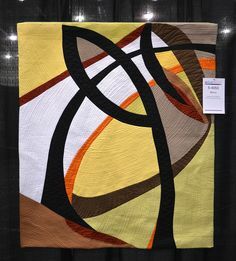 This entry was posted in Fabric & Fiber and tagged felting, Wool on October 21, 2015 by Sally.